According to co-founder Fabrice Grinda, “OLX is probably the largest classified site no one has ever heard of.” And now it’s also the most funded classified site no one has ever heard of, having secured an additional $13.5M in Series B funding today from General Catalyst, Bessemer Venture Partners, Founders Fund, and DN Capital. The round brings OLX’s total funding up to $23.5M after raising a previously undisclosed Series A round of $10M in September 2006 with the same VCs and various angels. Americans are not likely to have heard of OLX because its popularity lies mainly outside of the United States in places like Spain, India, Portugal, Mexico, South America, China, and the Philippines. It has established a presence in a total of 40 countries while supporting 15 languages. Much of its success in the Philippines can be attributed to its white label partnership with Friendster. Its offices are also spread over the globe with 92 employees working out of New York, Buenos Aires, Beijing, and Moscow. 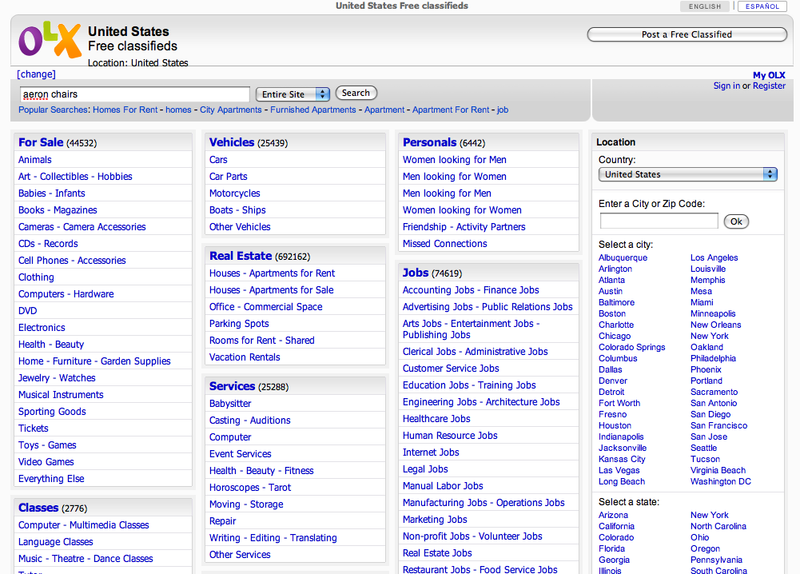 The idea behind OLX, in addition to becoming Craigslist for the rest of the world, is to improve on the technology of first generation classified sites. Grinda prides OLX in its Web 2.0 features which include social network widgets, better search, Ajax-based editors, interactive maps, and mobile versions. OLX was launched in June 2006 by Grinda with co-founder Alec Oxenford. 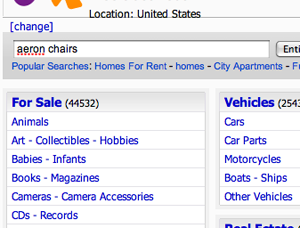 In addition to taking on Craigslist, OLX faces off against eBay’s Kijiji, which poses the biggest international threat because it has also taken an aggressive global campaign.